Music video of BigBang's 'Fantastic Baby' has surpassed 150 million views. On May 24th, BigBang's 'Fantastic Baby' music video has surpassed 150 million views on YouTube, further indicating BigBang's colossal popularity. Music video of 'Fantastic Baby' was officially released on March 6th, 2012, and it surpassed 1 million views on March 27th, 2014. The number has increased continuously, and it has surpassed 150 million views as of May 24th. 'Fantastic Baby' was the title track of BigBang's 5th mini-album, 'ALIVE,' and it still remains as one of the most representative hit numbers of BigBang. In addition, BigBang's latest title track, 'LOSER,' is still dominating on many different online music charts of Korea even though it has been over three weeks since it was first released. 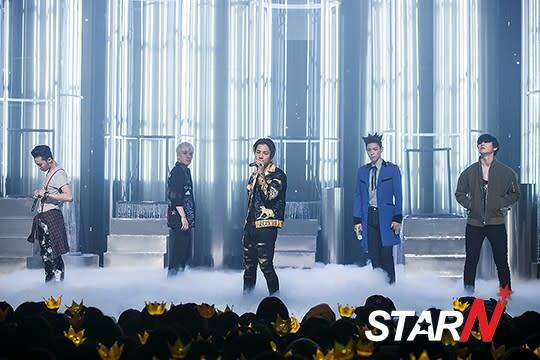 Meanwhile, BigBang is going to appear on this week's SBS 'Music Trend' for another performance.